Have you ever sat down to create something, finished it, and then said, "That was too easy. What did I do wrong?" Yeah. That is pretty much how this particular project went. BUT, the truth of the matter, is, the tools MAKE it easy and I LOVE the results so much! CUTENESS! For reals, though. 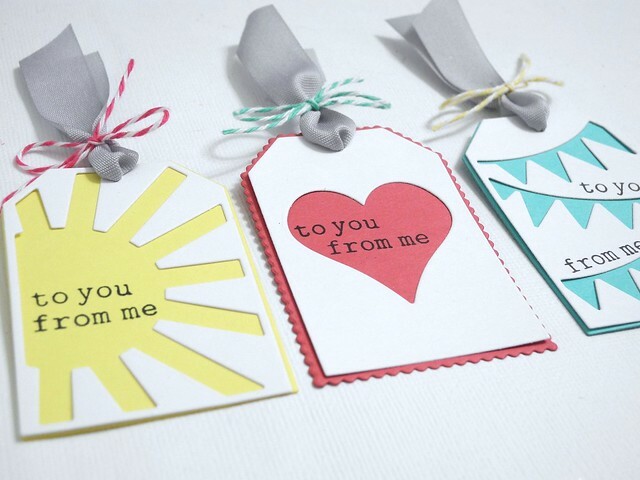 Three gift tags. Bright, happy colors. Happy playful shapes. Yes. All of those things. But, seriously, you guys... SO EASY! 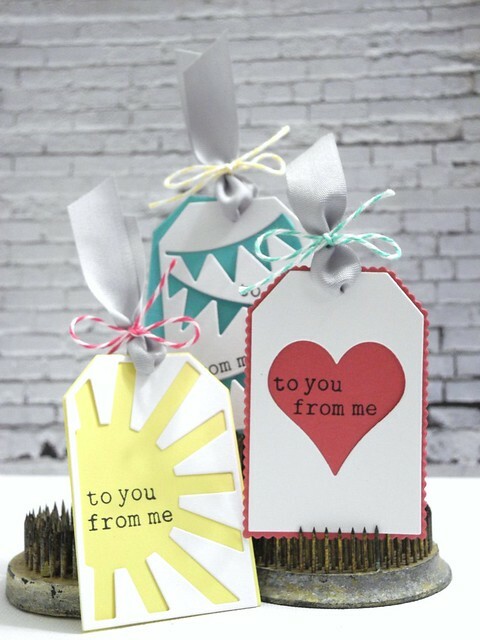 You guys, all I had to do was combine the new Spellbinders® Tag Trio with the Build a Tag 2 set and stamp a couple of sentiments. Oh...and tie some ribbon onto them with some adorable twine. But, for reals, that's it. That is the sum total of the steps for this project. And CUTENESS! I used May Arts ribbon and twine from The Twinery. The stamp set is, well, okay, after searching the internet for a bit I am just coming to grips with the fact that I have no clue what stamp set I used. But to and from stamps are pretty common. You can find some. I believe in you. Go make some tags, you guys!